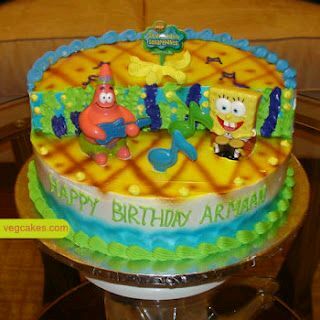 For the perfect party of your child, is not enough to think about decorating, table centers, where snacks, an issue of great importance is the birthday cake, for this reason, if your decorative theme is SpongeBob , here are some cakes models that surely will be useful. Interesting model birthday cake of two floors, it is appreciated Patrick, Sandy, Mr. Krabs and SpongeBob, the latter in front of a pineapple, which we know is the home of SpongBob. 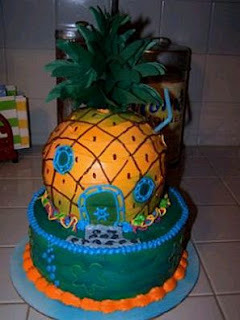 If you like the idea of ​​incorporating pineapple birthday cake, here's another model. 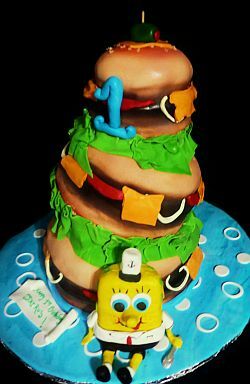 Beautiful birthday cake with SpongeBob at the foot of a giant hamburger. Cheerful and colorful two-level proposal, the cake is decorated with plants and marine animals and stuffed SpongeBob and his friends. 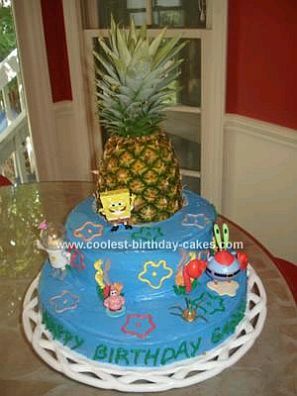 Model of cake that is not very far from being considered a work of art, it is seen SpongeBob and his friends, plus a pineapple. 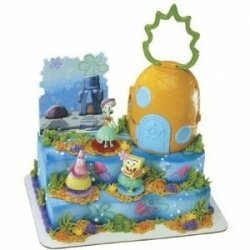 If you prefer large and impressive cakes, this cake three floor might be interesting, decorated like the sea and the characters of the cartoon throughout it. 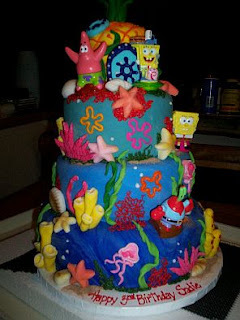 Smaller but just as beautiful, it is a two-floor cake, at the bottom we observe some marine species and at the top SpongeBob. 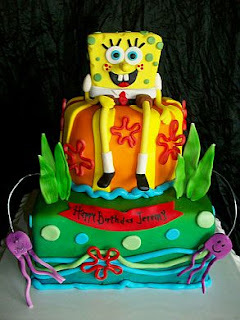 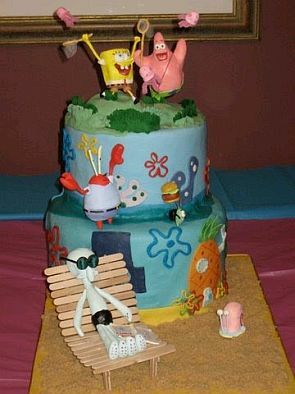 Original birthday cake, it is a two-floor cake whre appreciates Patrick and SpongeBob, making music. 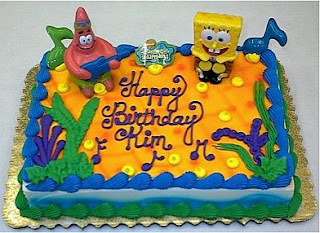 The theme is the same as that chosen in the previous birthday cake, but in this case it is a one-level rectangular cake. 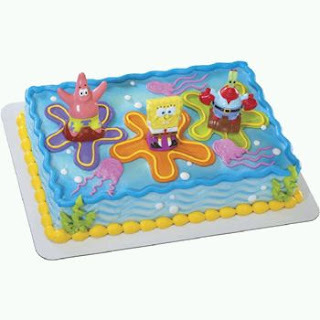 Finally, if you like the idea of ​​a flat and rectangular cakes, here's another model with SpongeBob, Patrick and Mr. Krabs.